In 1998, it was all science fiction. 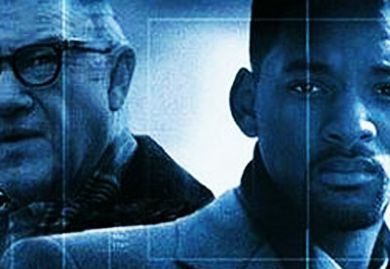 Most people don’t even remember Enemy of the State where Will Smith is having troubles and runs into Gene Hackman, a paranoid maniac who tells him that the government can track his every move. For the next 90 minutes or so, Messrs. Smith and Hackman get tracked by drones, satellites, and cell phone location data. Science fiction, right? We all know that it’s possible to track people by cell phone. In fact, all phones have some sort of location device built in so that 911 operators can find them. You can track your friends or family members with an app, and it’s so easy we kind of forget how scary it is. Now it turns our that John Q. Law can find out where you are any time he wants. Just like the movies. According to Broadband Reports and other sources, an appeals court has ruled that the authorities have the right to look at your phone’s location information any time they want to, without a warrant. The key is the Stored Communications Act, a 1986 law that says that when you voluntarily sign up for an online service, you give up certain rights to privacy. You chose to sign up, so you know what you’re in for. The idea is, you know that your phone can be used to track you and you wear it anyway, so, in effect, you have no rights. Even turning off your phone’s location services doesn’t do a whole lot, because your carrier can still use the cellular radios to figure out where you are. The only problem is that it’s not 1986 and having a cell phone isn’t a choice in most cases. Most folks use it for their primary phone, and a lot of people (your humble writer being one of them) wouldn’t have a job if they couldn’t be online and available all the time. Sure, one can choose not to have a job like that, but more and more folks need to have their phones with them. It’s just our society. Think of it this way. In California even though driving is considered a privilege, the courts recognize that most people need to drive to work. So, if your license is suspended, you can apply for a waiver that lets you drive to and from work. The state is basically saying that a car is a necessity of modern life. Well, so is a cell phone for a lot of people, and it’s becoming that way for more and more people. There’s no question that this is headed to the Supreme Court as soon as someone can come along to challenge it. The law as written in 1986 was intended to protect people from being spied on, not to make it easier to spy on them. Do you miss the headphone plug on your phone?